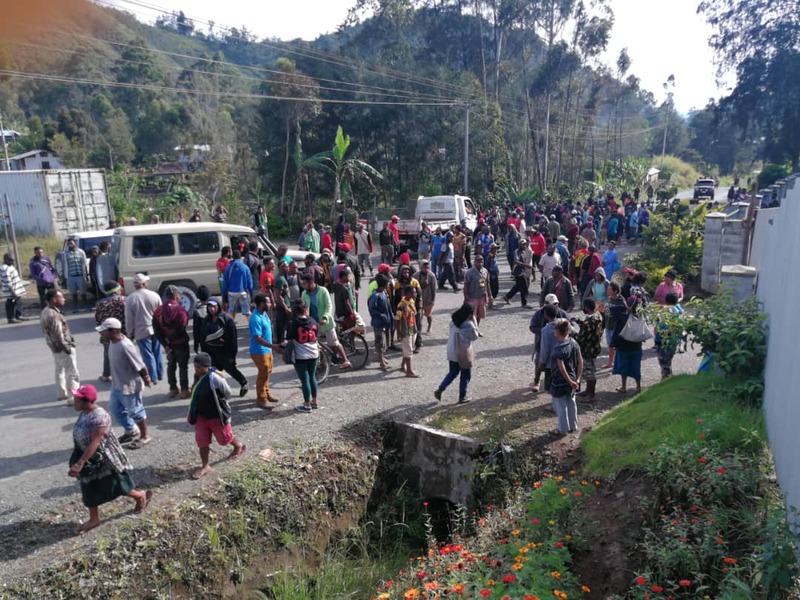 Villagers near the Wapenamanda township, Enga Province, have dug up a section of the Highlands Highway this morning in protest over the removal of a semitrailer that was involved in an accident. The fatal accident that occurred on November 10th at Yaibos road Highway 14, along the Okuk Highway, had claimed the lives of eight young men. The villagers, mainly from the Yakuman tribe, reacted this morning after members of the disciplinary forces removed the semitrailer without proper consultation with them and families of the victims. According to a police report, the Kenworth semitrailer, owned by Pebesons Mini Trading Ltd in Southern Highlands Province, was reportedly travelling from Mt. Hagen, WHP, to Porgera, when it collided with a dump truck carrying 11 passengers. The deceased were identified as six from Yakuman tribe and two from Maini tribe of Wapenamanda District. One of them was a teacher and two were Grade Ten and Eight students respectively while the other five were youths. Apart from the deaths, four others were seriously injured and taken to the Intensive Care Unit (ICU) at Wabag Provincial Hospital, while the driver of the semitrailer was rescued at the scene by defence force personnel. The villagers and families were still awaiting a proper response from the owner of the semitrailer when it was removed.